There’s nothing cute or cuddly about Stormtroopers, but all the cuteness you’ll ever need can be found in Endor’s forests, where the Ewoks thrive. Those teddy-bear like creatures can melt the coldest of hearts–well, except for the likes of Darth Vader, that is–and now you can wear ’em on your feet. 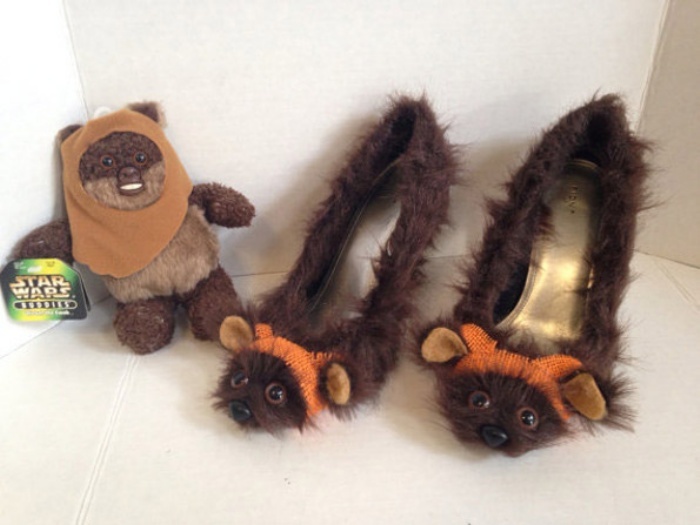 Not actual Ewoks, mind you, but Ewok-inspired heels that look oh-so-adorkable. They look comfy enough and are as furry as you would expect them to be. Not to worry though, as no actual Ewoks were harmed in the making of these shoes.